Designed in 1951 by Hans J. Wegner, setting the gold standard for comfort, the Papa Bear chair and ottoman is one of the most popular and enduring of his designs. 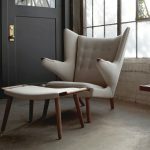 Like many of Wegner’s chairs, such as the Peacock chair or the Bull chair, the Papa Bear Chair invokes the animal kingdom, with its characteristically playful and organic aspects. 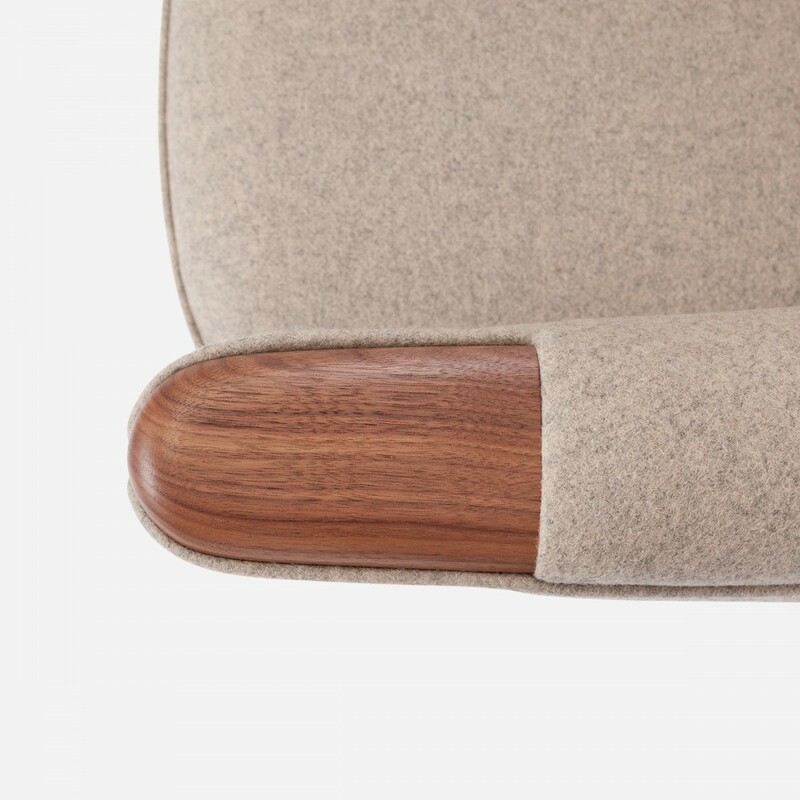 Apparently, the chairs idiosyncratic name originates from a critics comment referring to the armrests as great paws embracing you from behind. Produced in Europe until 1969, the Papa Bear was re-introduced by Modernica in 1994, after 25 years being out of production. 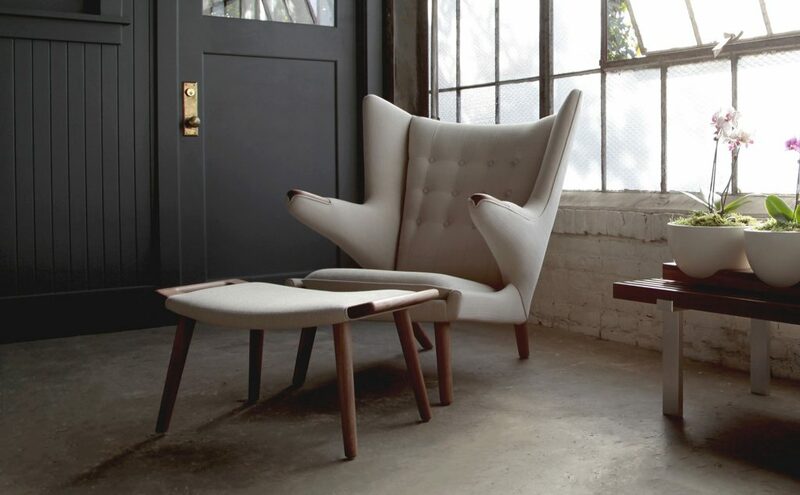 For almost 20 years, Modernicas master builders have been painstakingly handcrafting each chair and ottoman. Modernica follows strict adherences to the original design with regards to dimensions, frame construction, fabric pleating and materials. Making this significant design an affordable luxury, built without any compromise to the original specifications and construction. 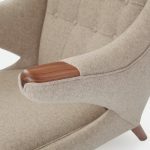 The Papa Bear Chair and ottoman are offered in over 50 fabric and leather choices more than any other online source. The Papa Bears arm pads and legs are constructed of solid North American walnut.